Ogden, UT, population 83,000, is rapidly becoming the place where many adventurous types can indulge their passion to participate in outdoor sports, especially mountain biking and extreme sports. Snowbasin is a first rate ski mountain about 20 miles from Ogden, and was home to the Olympic Super G and downhill events in the 2002 winter Olympics. The 125,000 square foot Salomon Recreation Center features facilities like climbing walls, dance studios, wind tunnel, surf-riders pool, and a Gym. The Mayor of Ogden, Matthew Godfrey, told the New York Times that his city is ready to be “the high adventure Mecca of the country.” It also has historic buildings and proximity to the Wasatch Mountains. Ogden is not as well known as Park City, UT, but offers some advantages and similarities to that resort town. For one thing it is not as crowded or nearly as expensive. For another it is less of a resort and more of a community, indeed several manufacturers of “extreme” sports equipment have set up shop here and are contributing to the local economy. The population was just over 79,000 in 2005. Weber State University has 12,000 students here. Ogden has some active adult communities (see link at left). The median value of a home in late 2018 was $204,100 according to Zillow. Non-Mormons could feel like outsiders. Nearest city other than Salt Lake City is Las Vegas, 400+ miles away. Crime is above the U.S. average. 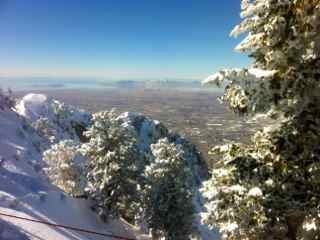 Ogden is located in the Wasatch Mountains at an altitude of 4300- 5200 feet. It is 20 miles to the of Salt Lake City. 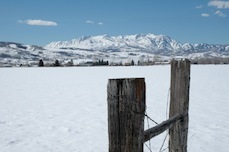 Winters are snowy and summers are dry, with the altitude providing some relief to the Utah heat. Weber State U provides some culture to Ogden. Salt Lake City is just 31 miles away. The Egyptian Theatre is on the National Register of Historic places. After a down period it reopened on January 17, 1997 community theater/performing arts house. A Wurlitzer pipe organ was reinstalled in 2004, completing the historic atmosphere of the theater. The Sundance Film Festival has premiered movies at the Egyptian as a recognition of its importance. Two interstate highways run near town, I 84 and I 15. The Utah Transit Authority offers service to Salt Lake City connecting to Weber State U and an intermodal travel facility. A light rail commuter line is under construction that will connect near Ogden. SLC International Airport is 31 miles. Ogden-hinckley Muni Airport is 5 miles.